We've been watiing for what seems like forever for the U2 Mobile Album to be released as we had heard all kinds of news about it in the last few months, but had no real release date. Well today the U2 Mobile Album became available for download in BlackBerry App World. This free app lets you follow the band on their No Line On The Horizon tour and offers a load of great features. 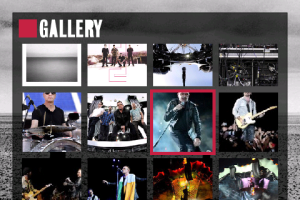 The U2 Mobile Album is available for all devices running OS 4.5 or higher. Head over to the application page in BlackBerry App World to download.